A cataract is a clouding of the lens behind the iris and the pupil that develops due to aging. Many Boston cataracts patients experience glare, blurred vision and/or sensitivity to light when they first develop a cataract. If left untreated, the condition could lead to vision loss as the clouding worsens. The time to have cataract surgery is when your vision gets to the level where it is affecting your quality of life. This level of vision loss varies from patient to patient and is best determined by both you and Dr. Kornmehl, a renowned Boston cataract surgeon. Patients who believe they may have a cataract should contact Dr. Kornmehl of Kornmehl Laser Eye Associates to receive a comprehensive evaluation and determine if they are a candidate for the procedure. Cataract surgery is one of the most successful surgical procedures performed in the United States, with more than 90 percent of patients regaining 20/20 vision post-operatively. Dr. Kornmehl has years of experience performing cataract surgery, and offers cataracts Boston patients the option of undergoing the procedure with premium intraocular lens implants (IOLs). Patients can choose to undergo surgery with traditional or premium IOLs. 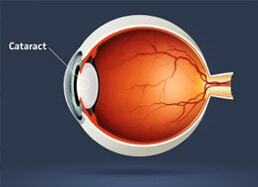 Traditional IOLs, also referred to as monofocal IOLs, correct vision for one distance only. Patients can improve near, intermediate, or distance vision. Cataract surgery patients who receive a monofocal IOL may still need to wear corrective eyewear to see at certain distances. Premium IOLs allow patients to see at all distances, without corrective eyewear. In addition, these intraocular lenses, can improve other vision conditions such as nearsightedness, farsightedness, presbyopia and astigmatism. Crystalens is the first and only FDA-approved monofocal IOL that improves a patient’s vision at a variety of distances. Unlike traditional IOLs, Crystalens moves with the eye’s muscles to improve eyesight and seamlessly transition focus from objects near to far, and vice versa. The Crystalens IOL has also been used successfully to significantly improve reading vision. The ReStor lens is a multifocal lens approved by the FDA that improves vision in a variety of distances. It significantly improves reading vision as well as distance vision. Patients who struggle with cataracts and astigmatism can greatly improve their vision with Toric IOLs, one of the only premium IOLs available that successfully treats astigmatism. The Toric lens’ aspheric design makes it possible to reduce lenticular astigmatism, as well as enhance distance vision with this one lens. Are There Any Ways to Prevent Cataracts? There is no guaranteed way to prevent cataracts, but there are ways to reduce your risk or slow the development of cataracts. First, do not smoke, and if you drink alcohol, do so in moderation. Also, eat plenty of vitamin and antioxidant-rich foods, such as leafy greens, orange-colored fruits and vegetables, and coldwater fish. Wear sunglasses and a wide-brimmed hat when going outdoors. Finally, don’t skip yearly eye exams, which are a good opportunity to catch cataracts in their early stages. What Should I Know About the Exam before My Cataract Surgery? Prior to cataract eye surgery, you will undergo a comprehensive eye examination and a review of your medical history. You will be asked questions about your eye health history, any previous surgeries you have had and any medications, vitamins or supplements you currently take. You and Dr. Kornmehl will discuss your expectations of surgery and review your IOL choices; together, you will select the best option. To prepare for the exam, make a list of any questions or concerns you have about cataract surgery. Also, bring your insurance card and a list of your medications and dosages. Cataract surgery is not painful. 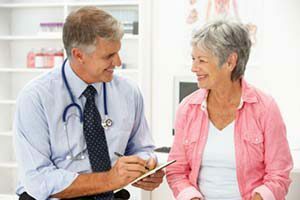 Precautions are taken before and during surgery to prevent you from feeling any pain. You may also be given a light sedative prior to surgery to help you relax and feel more comfortable during the procedure. I Have Cataracts in Both Eyes. Can They Be Treated on the Same Day? Though it is possible to treat both eyes on the same day, it is more likely that you will have one eye treated, and then a few days or weeks later, have the second eye treated. Cataract surgery takes about 15 minutes to perform. Expect to be at the surgery center for a few hours on the day of surgery. How Will My Eye Feel and What Will My Vision Be Like Right after Surgery? Immediately following surgery, your eyes may feel itchy or uncomfortable for a few days. Your vision will likely be blurry or hazy, but will improve within a few weeks. How Long Until I Can Resume Normal Activities? How Soon Will I Be Able to Drive? Everyone recovers at their own pace, but most people resume the majority of their normal activities a few days after surgery. You must wait until Dr. Kornmehl says it is safe for you to drive. Whether you need glasses after cataract surgery depends on the type of IOL you opt to have implanted. Some IOLs greatly reduce the need to wear glasses to see up close or at a distance. The IOL that is implanted to replace your natural lens cannot become cloudy. However, sometimes, the capsule or membrane that held your lens and supports your IOL can become cloudy or hazy; this is known as a secondary cataract. Fortunately, this can be corrected in a quick in-office laser procedure. Dr. Ernest Kornmehl is a leading refractive surgeon who has widespread experience in treating cataracts patients. Dr. Kornmehl is proud to offer the most advanced premium IOLs to his patients, and is dedicated to restoring their vision safely and comfortably. Under his compassionate care, countless cataract surgery Boston patients have been successfully treated and achieved excellent vision. To learn more about cataract surgery in Boston with Dr. Kornmehl, please contact his office at (877) 870-2010 to schedule a consultation. In addition to being regarded as a leading cataract surgeon in Boston and the metropolitan area, Dr. Kornmehl is frequently sought after by patients suffering from refractive vision errors such as myopia, hyperopia and astigmatism. He has helped thousands of LASIK patients eliminate their dependency on prescription vision correction. He is also sought after to help patients with dry eye problems.